We have only ever been an online boutique. We’re experienced! Which means you can feel as confident as us about the purchase of your beautiful dress – and we’re confident, because we know you’ll love it. 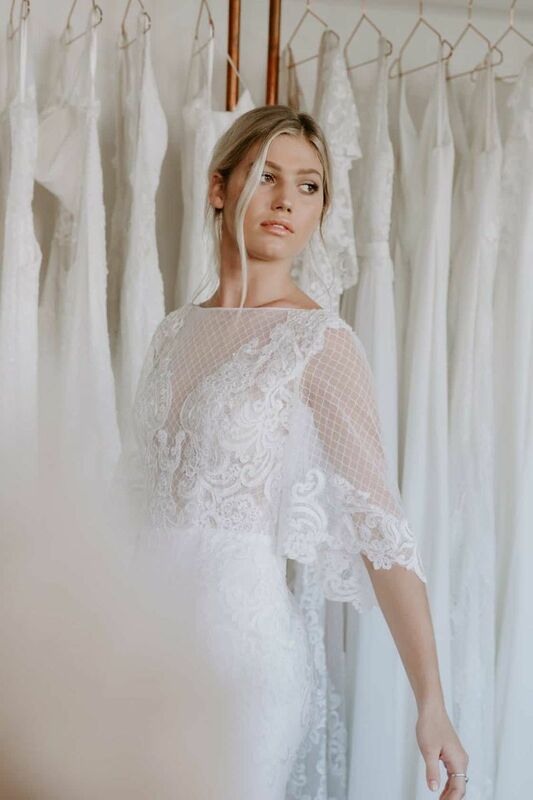 When you have chosen your dream dress, it’s time to get excited and officially begin your little journey with Made with Love Bridal. On your dress’ page, click ‘Add to cart’. The page will ask you to indicate your general size (0-16) and the colour in some cases. Don’t worry too much about sizing as we’ll confirm the details according to our size chart using your measurements in the next step. Once we have received your details, we’ll match you to the generic sizing of our size chart. You are not required to do anything else at this stage, besides plan the rest of your big day, of course! Once you receive your dress, alterations / tweaks are very common. All alteration costs are covered by the Bride. The options of payment are PayPal and credit card. Paypal is our preferred method but please choose the option most convenient to you. If you have any questions before or after ordering, don’t hesitate to email us. We only offer certain changes to our designs. Please see available colour variations with each dress. Unfortunately, changes cannot be accepted once the order has been processed. Please give us 24-48 hours to respond to your enquiry. Also, please note office staff do not work on the weekends, so all emails sent on the weekend will receive a reply the following one to two working days afterwards. We are based in Queensland and follow public holidays for the state. We prefer our brides to receive their dress at least one to two months before the wedding day. We advise ordering your dress within 10-12 months of your wedding. If your wedding is sooner and you are an Australian bride, please contact [email protected] for rush approval. If your are an international bride and your wedding is sooner please contact your local stockist to find out what can be done for you. We post your dress in a Made with Love box and email you with the tracking number so you can watch it arrive! We deliver free of charge Australia-wide, and charge Au$80 for non-Australian deliveries. Your signature will be required on delivery. For international shipping, please see below. Please try on the dress as soon as possible without make-up, lotions or fake-tan. We make your dress according to the size the measurements you gave us matched. We highly recommend all our brides have their measurements professionally taken. 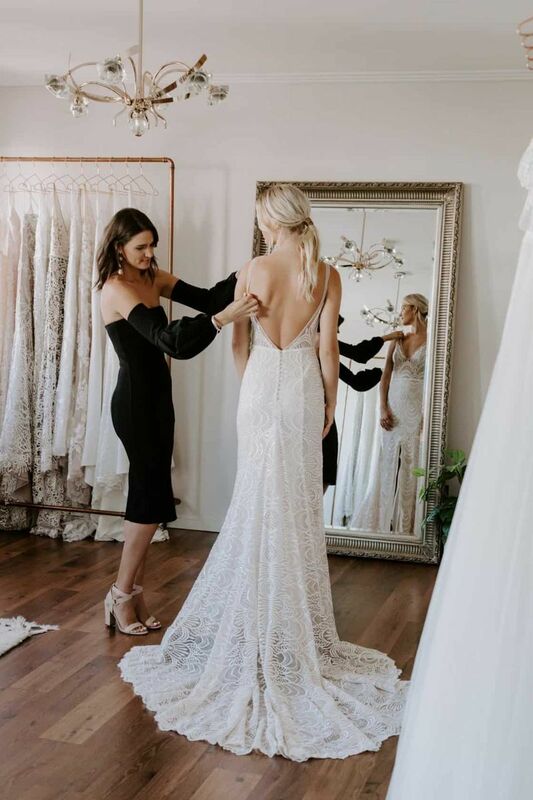 Because each body is exceptional, you might find that going to a local alterations shop is an easy way to make the dress fit exactly how you like it to fit, particularly for tight fitting dresses. The reason we can afford to keep our prices low is because we do not have the fittings other bridal stores have while we make the dresses. 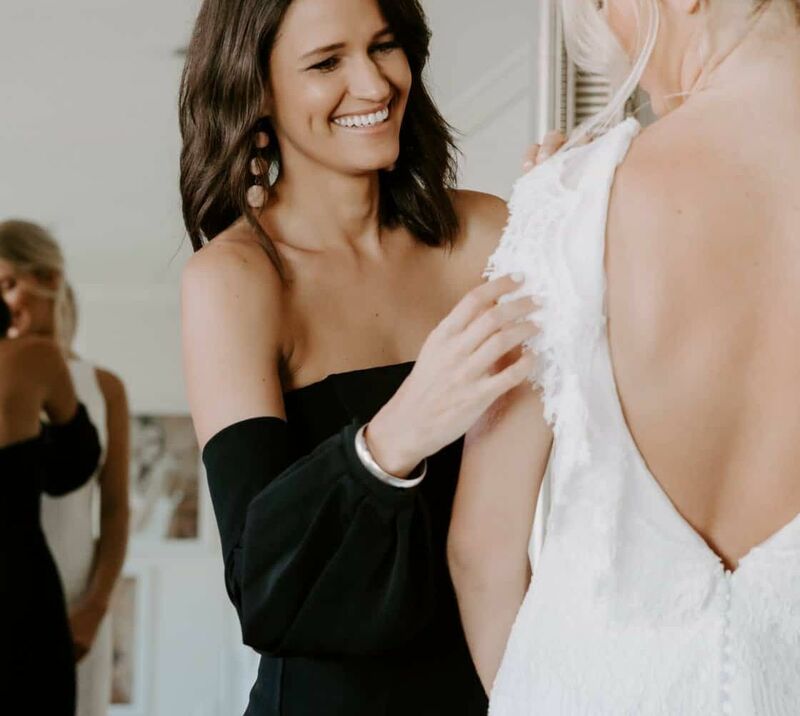 This practice works well for us because it works well for our brides; it’s less complicated, keeps time- and cost-demands low and gives us a good excuse to keep prices low. Win-win! In the rare occasion you think we have made a mistake with the measurements, please send us a few photos and we’ll happily ensure that it is fixed up at our cost. Unfortunately, we can only cover costs if the misfit is brought to our attention within 24 hours of delivery. Your dress is made specifically for you, so unfortunately we cannot offer a refund. Fortunately, so far, this has not been a problem. If, before you order, you would like to see more photos of your design, we are happy to send you more images from our photoshoots and behind the scenes. The dresses we have for our photoshoots are the same dress as the samples in our boutiques, and will be the same as your dress. Unfortunately we do not refund due to change of mind. If we haven’t started your dress you are more than welcome to change your order but we cannot refund. We cannot either refund you if you feel that dress does not suit you, as this dress was made specifically for you. We ship world wide. Import duties, taxes and custom charges are not included in the price and are the responsibility of the buyer. The amount charged is at the discretion of the customs agency within the destination country and is determined, in part, by the value of the item/s. It is illegal to falsify customs declarations. Payment of duties and taxes are due at collection/delivery. Please check with your country’s customs office to determine what additional cost will be added prior to purchase.